You love polka dots? We have the matching throw pillow! 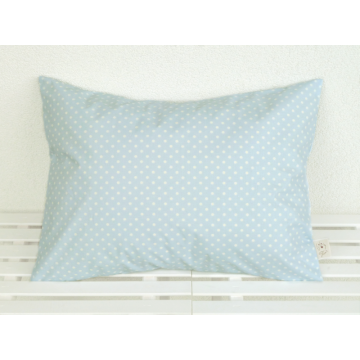 Our Organic Decorative Pillow light blue is an eyecatcher and also perfect for dog owners, because it is made of the same fabric as our Organic Dog Bed light blue water-repellent and our Organic Dog Blanket light blue. For this scatter cushion, we use only ecological material. 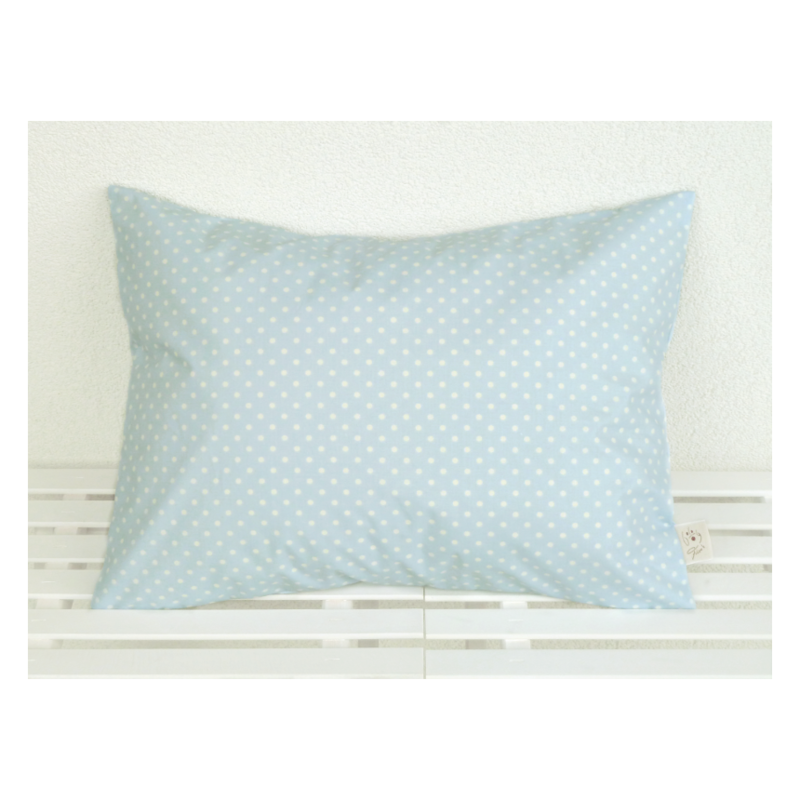 The cover of this throw pillow in light blue is made of 100% organic cotton and water-repellent, so you can also use it during the day to decorate your outdoor chairs or lounge on your terrace. The seperate inlet is filled with certified natural latex flakes and natural, wild-growing kapok. This pillow is free from metal: the cover is closed with buttons made of tagua.